We are pleased to inform you the released Results of the ELGORDO SPANISH ALICANTE LOTERIA WITH WEBSITE https://www.alicanteloteria.com/ INTERNATIONAL PROMOTION PROGRAMME held on the 8TH APRIL. 2007 . and result come out on 10TH APRIL. 2007 by 11.45am. your name attached to the Ticket number 025 â 11-464-992 â 750 with Serial number 6 drew the lucky numbers 10-12-28-34-42 which consequently won the lottery in the 1ST Category. 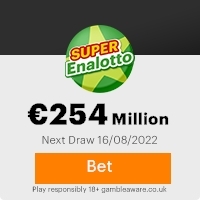 You have therefore been approved for lump Sum pay out of â26.214.521,83(TWENTY SIX MILLION TWO HUNDRED AND FOURTHEEN THOUSAND FIVE HUNDRED AND TWENTH ONE EUROS AND EIGHTY THREE CENTS) in cash credited to file NÂ: NIS/05. This is from total cash Prize of â100,468,770.00 (ONE HUNDRED MILLION FOUR HUNDRED AND SIXTY EIGHT THOUSAND, SEVEN HUNDRED AND SEVENTY DOLLARS) shared among the seventeen international winners in this Category. Your Fund is now deposited with a Security Company insured in your name. Due to the mix up of numbers and names, we ask you to keep this Award top secret from public notice until your claim has been processed and your money remitted to your account as this is part of our security Protocol to avoid double claiming or unwarranted taking advantage of this programme by participants. All our Beneficiary were selected through a Computer Ballot System drawn from 25,000 names from Europe,Australia, Asia, andAmerica as part of our INTERNATIONAL PROMOTION PROGRAMME, which we conduct once every year. We hope that with the part of your prize, you will take part in our next Year high Stake of $ 1.3 billion International Lottery. for processing and remittance of your prize money to a designated account of your choice. Remember that all prize money must be claimed not later than 24TH JUNE .2007. After this date, all Funds will be returned to the Ministerio de Economia y Hacienda as unclaimed. NOTE: In order to avoid unnecessary delays and complications, please remember to quote your Reference and Batch Number in every of your Correspondence with us or your Agent with office time from 11am to 16.30pm. And remember you have to pay 10% of your winning fund to your claims agent after the fund gets to you. Further more, should there be any change of your Address, do inform your claim Agent as soon as possible. Congratulations once again from all Members of our Department and thank you for being a part of our INTERNATIONAL PROMOTION PROGRAMME. Previous: CONGRATULATIONS YOU HA ... rcgFresh ScamsNext: Congratulations!!! This Email with the Subject "CONGRATULATION AWARD FINAL NOTIFICATION" was received in one of Scamdex's honeypot email accounts on Tue, 10 Apr 2007 07:02:09 -0700 and has been classified as a Generic Scam Email. The sender shows as "xalicanteloto@terra.es" <xalicanteloto@terra.es>, although that address was probably spoofed. We recommend that you do not attempt to contact any persons or organizations referenced in this email, as you may expose yourself to scammers and, at the very least, you will be added to their email address lists for spam purposes.